God, who believed what we preached? Who recognized God’s arm, outstretched and ready to act? so I could heal them. 41 Isaiah said these things after he got a glimpse of God’s cascading brightness that would pour through the Messiah. New Year’s Eve! For many this day comes as a relief, a closing to a chapter kind off a day. A way to close the books on all that is been 2016. News outlets are really good at reminding us what a year this has been. From tremendous loss, to conflicts and mayhem, 2016 seems to stand out on its own. But I have to ask: Where do you stand in all of this? What is your reality? What is your today’s forecast looks like? For me there is a sense of peace as I go through my day. Yes there is that doom and gloom reality that I am not as young as I once was, that I do not know what tomorrow will bring. Yes there is the daily insecurity of life that comes knocking at my door, and the pressure to panic every time I watch the news. But I find peace! I find peace because of my faith, because of God’s faith and faithfulness. I find peace because I know peace, I had experienced that God given gift time and time again. And when my world is rocked, when the storms roll in, I remember what God has done. So I want to encourage you today, as you think about your own journey through 2016, with all your joys, accomplishments, fears and whatnots, I want to encourage you to remember who Jesus is to you. Let that glimpse of God that you know, spark brighter than the darkness or despair of this world. I pray that 2017 will be a year of faith for all of us, a year when we can not just believe but live out our faith with confidence that we can see God in our own reality. “Well done, good and faithful servant!” Words any one of us would like to hear on any given day. Words we, as Christians, long to hear that day when we are greeted by the Master. The man or Master represents Jesus. The servants entrusted with the talents symbolize members of the church. The talents represent large sums of wealth given to the servants for them to invest. Each servant had the free will to take the initiative. No rules or regulations. This is a parable about how Christians live their lives until the Master, Jesus returns. Each one of us are given valuable gifts by the Master, and, as this parable tells, how we use them, is of great interest to Jesus. The great insight of this parable is that the greatest risk of all, as it turns out, is to not risk anything. Not to care deeply, or profoundly enough to invest deeply. Not giving your heart away, and in the process, risking everything. 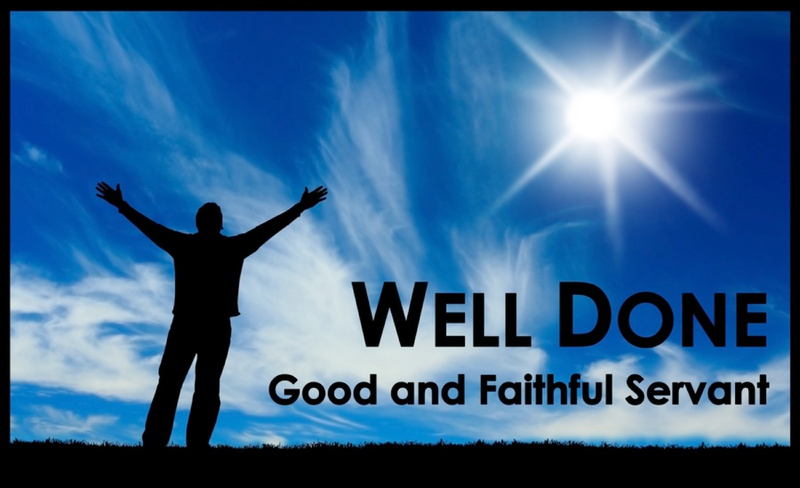 “Well done, good and faithful servant!” This is heard by those who have wisely invested the gifts given to them. How are you using the gifts God has given you? As we gaze upon a new year, I could easily think about new year resolutions…but, as many of us know, without commitment, they seem destined to fail. As we look ahead, ask yourself, is your faith journey is an adventure or simply personal comfort and security? This parable challenges us to a renewed responsibility for how we use and invest the gifts God has given each of us. This parable challenges us to be bold and brave…to reach new heights and to care deeply…this parable is about an adventure of faith!! How will you serve the Lord this coming year? The message delivered is viewed by the addressed as being untrue. The message delivered is viewed by those addressed as being true. The messenger is viewed as a fraud making whatever message delivered to be untrue. The messenger is viewed as truth giver making whatever message delivered to be true. It seems not to matter the efficacy of either the message or the messenger. What matters most is the condition of the heart of those addressed. Do they have an appreciation for what is true above all other else? In the Acts passage (7:1-53), Stephen addresses a persistent problem of Israel’s rejection of God’s message via His servants. It is similar to a message delivered by Ezekiel (Ezek. 20:5-44) in that it details to Israel the results of it’s disobedience. Stephen’s demise is something that Jesus prepared His followers as a possibility (Luke 9:23-24, 21:12-19) to endure. And so on this day, we recall St. Stephen’s commitment. 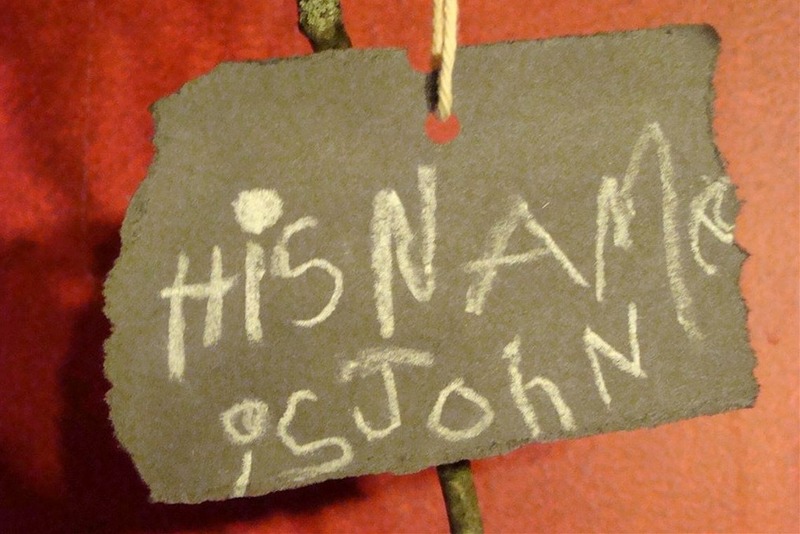 His name is Jesus…Savior of the world! Get to know him better and the Light will shine more brightly in your life!! It takes courage because of all the darkness around us…the choice is yours!! Merry Christmas!! Come celebrate the season with reason. According to the American Atheists abandoning history is reasonable. When we accept historical records at their face value, that is eyewitness accounts, as empirical evidence, then we must accept the scriptures, the biblical accounts as historical truth. Peter and John knew Jesus, they knew Mary, they ate with them, they talked with them, they lived on the road with them, stayed with them. When we then read Luke 2.1-20 the story of the birth of Jesus, we can be assured that this is an accurate account according to all the standards of historical evidence. The angels came to the shepherds, blazing with glory, shining like the sun, the shepherds were scared to death, they were the first to hear that the Savior of Israel, the Messiah, had come as a baby in a manger. “You will find Him in Bethlehem,” they were told. Then if that was not enough of a shock to these trembling shepherds, a Host of angels opened up the heavens, setting the skies ablaze with light, praising God with a deafeningly loud chorus saying, ” Glory to God in the highest, and on earth peace among men with whom He is pleased.” They got up off the ground and went to Bethlehem, where they found Mary and Joseph and the child, just as the angels had said. They told their story to Mary and Joseph, and soon the word of these things spread, and all who heard it were astounded at what was told them. Mary herself, hearing these things that had happened to the shepherds was amazed also, holding these things in her heart, pondering the significance of it, treasuring all that had taken place. Then the shepherds left and were going back to the fields, glorifying and praising God for all that they had seen and heard, changed men. But how could you not be changed when the heavens open up around you, and angelic beings appear and speak directly to you. When you check out what was told you and find it all true, right there in front of you, you see it, you hold touch it, you hear it, you feel the presence of God everywhere. How can you not be changed knowing you have just witnessed the coming of the Messiah, the fulfillment of the prophecies of the scriptures that you have heard about and hoped for your whole life. Today we can be assured that these scriptures we read, have been maintained and kept precise for centuries, are true and are accurate, that these things happened. The Savior has come, and He will return just as He said. Salvation has come to mankind through Jesus the Son of God, and we too can have peace with God the Father through the finished work of the Messiah. For centuries, many a prophet foretold the coming of a Messiah, one who would restore the kingdom of God. The people of Israel anticipated this King who would do all that the prophets spoke of for centuries. Yet, when Jesus actually walked this planet in human form, he was not recognized by those who were the most educated in the scriptures. They were blinded by their own knowledge. As we move into the final days of advent, my prayer is that we never forget the importance of the day Jesus was born unto us. As we get down the the bitter end of the “shopping season” and try to get all of our gifts wrapped, and all of the items on the grocery lists are purchased for our family meals, may we not get too caught up in the hustle and bustle of this time of year and lose sight of what is most important. Just like the Israelites 2,000+ years ago who didn’t recognize the Messiah, even when He was right in front of them, we need to remember the real reason for the season. Let us keep Christ in Christmas! Merry Christmas to all of you. Did you know that Zechariah’s Song is actually part of the Christmas Story? (Please, pardon my mischievous smirk). Well let me help you out and tell you that it is indeed. It is amazing to me, that somewhere somehow we fail to connect the whole narrative, and see that Christmas is not just about that wonderful night when the prince of peace was born. I am amazed that somewhere somehow we reduce the greatest story of hope and anticipation to a few selected idyllic scenes. 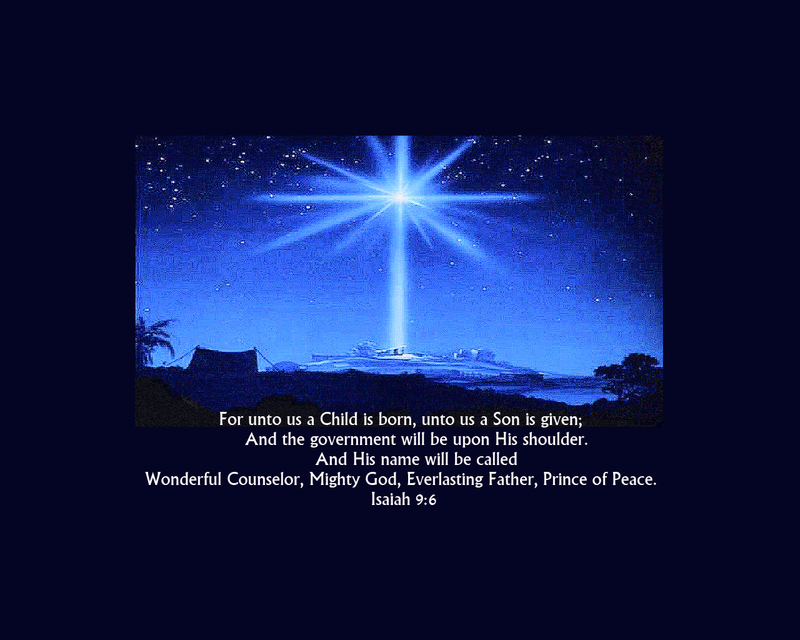 Christmas yes it is about Jesus, the new born! Let me be clear on that. And at the same time Christmas is and will be about the promise that God will save His people. That very promise and prophecy is the reason for our season. It is in that tension of looking forward and celebrating the present that we live in faith. Christmas is and will always be a time of celebration, of joy and peace but it is also a time when we look forward to see God’s salvation surrounding us and rejoicing when we see that everlasting promise unfold before our own eyes. This is an often overlooked passage…it is not found in the Revised Common Lectionary. In the grand scheme of things of the first 2 chapters of Luke – the birth narratives of John the Baptist and Jesus, this passage just doesn’t have the pizzaz of the others…or, does it? On the surface this passage is about the birth and naming of John the Baptist. Neighbors and relatives must have been unaware of Elizabeth being pregnant – remember, in her old age, she went from barren to pregnant. How? If you go back a few verses, you will see that God’s messenger, Gabriel, visited Zechariah before Mary. In that visit…Zechariah doubts Gabriel and, therefore, God. As a result, Zechariah is unable to speak until the naming of the baby. The logical choice in naming this baby would be after the father, according to custom and it is Elizabeth who says the baby will be named John. The last word that Zechariah had spoken before losing his speech had been an expression of doubt in verse 18, but on this, the first occasion that he could speak again, he praised God. And the crowd was amazed! God is at work in our world and in our lives. 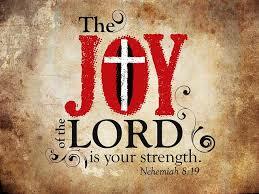 There’s joy and rejoicing when you see and sense the Lord working out his will in our every day, ordinary lives. God was at work in Mary’s life fulfilling century old promises to his people. Mary rejoices in what God is doing from the very center of being; soul and spirit. How wonderful to be used by God! God, the Mighty One, is holy. God does what no-one else can do; for the Lord brings the Savior to be born, in an ordinary and lowly Jewish teenage girl, to enter space and time on earth. It’s all about showing mercy from generation to generation and keeping his promise to be merciful. And so through Mary, God sends the Savior who is Christ, the Lord. God is merciful and full of love. He seeks to rescue and redeem. Today, look for what God is doing in you, your community, your church, and the world. Look for the mercy of God, alive, active, and at work in your world. Perhaps this day, you can be an extension of the Savior’s mercy to someone else…What might that look like? Find joy and rejoice at the opportunity for God to work in and through you in the world today!